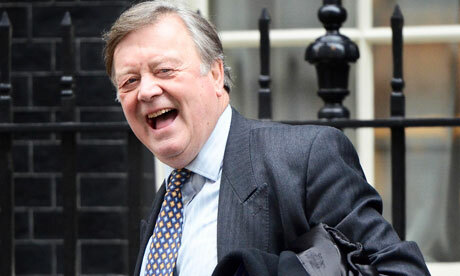 Judges’ criticism could pile more pressure on the justice secretary, Kenneth Clarke. Government plans to put police and crime commissioners in charge of support services provided to crime victims have put it on a collision course with the judiciary. In an astonishing attack, approved by the Lord Chief Justice of England and Wales, Lord Judge, and led by Lord Justice Goldring, the senior presiding judge for England and Wales, the judiciary has warned that some of the measures, which even the ministry of justice admits have proven “controversial”, are “potentially disastrous”. In response to a consultation on overhauling the justice system, they say they have “grave concerns” about allowing locally elected commissioners to select what support services should be offered to crime victims. Their criticism is likely to add to unease about the government’s decision to put commissioners in charge of police forces, which has led to claims it will politicise the thin blue line. They also place fresh pressure on the justice secretary, Kenneth Clarke, who is rumoured to be vulnerable in any cabinet reshuffle. In January, Clarke announced a shake-up of services for victims and witnesses of crime, claiming the current system falls short. Legal experts believe that the judges fear commissioners could “play to the gallery” and favour certain victim support services or be vulnerable to claims from private contractors.